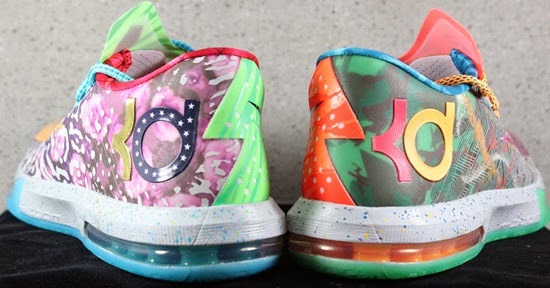 The popular highly anticipated "What The" Nike KD VI drops this weekend. 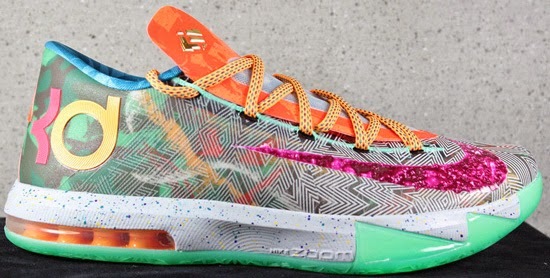 However, if you're looking to lock down a pair early, you can get your hands on them now. Check out the auction here. 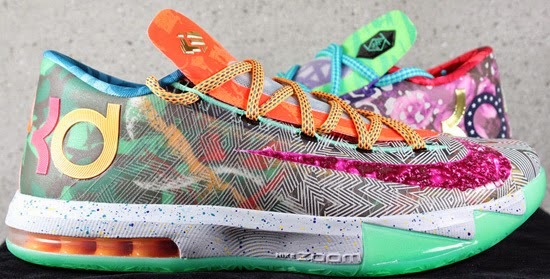 This Nike KD VI Premium is known as the "What The" edition. 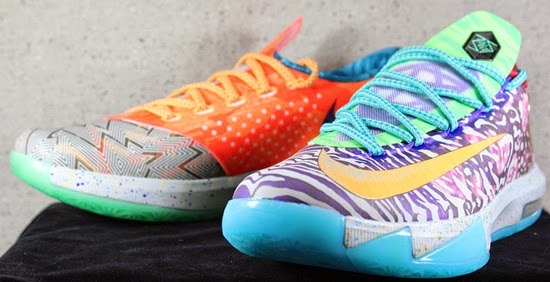 They come in a hoop purple, urgent orange and shark colorway. 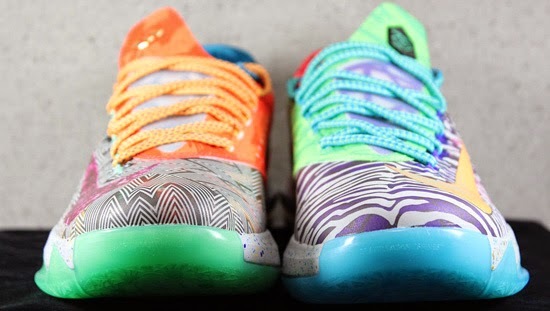 Featuring a mash-up of various colorways of the Nike KD VI and Nike KD VI Elite all on one shoe. A limited release, look out for them at select Nike accounts worldwide on Saturday, June 14th, 2014. Retail is set at, $150. 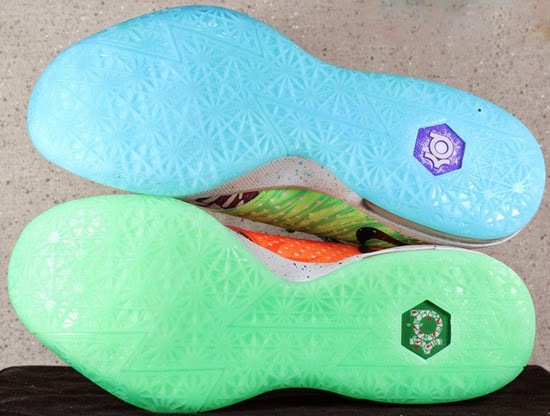 Enjoy the detailed images below of the "What The" Nike KD VI Premium in hoop purple, urgent orange and shark. If you're interested in picking these up when they release, check in with your local spots to see if they will be receiving them. Those of you looking for a pair now can, grab them from eBay here.